I love this food for the great ingredients but it's very expensive. 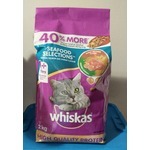 My cats don't like it as much as other premium brands but I do rotate it into their diet for variety. 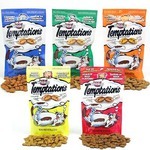 Great Food For Your Pet! I have a 1 and a half year old chihuahua. I want to feed him only the best. 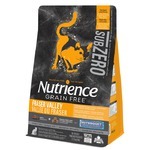 This food is 100% grain free, leaving more meat products for him and making the food healthier. He enjoys the flavour and the price is decent. I paid around 50 dollars for the large bag which lasts 3 months. Not a bad price at until 20 dollars a month. * Note - Review is for the beef dry food, which wasn't already listed on Chick Advisor. Although Wellness is just as pricey as Merrick, I was never drawn to it before just because their product design was ugly. But the new CORE line is gorgeous so I picked up a can yesterday and decided to do a taste test with the cat. It is a pate which is fine with me though I do think they should have labeled it so, so that people who's cat's don't eat pate wont be disappointed when they open it up later. 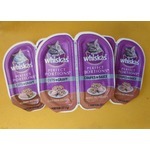 The pate was very soft and had a ton of gravy in it, so it'll be extra palatable for picky cats. The feeding recommendations were very easy to understand and didn't require any complicated measurements. The cat absolutely loved it and I will probably end up buying more.